Plan to attend the Annual Symposium & Trade Show at Disney's Coronado Springs Resort, Florida, USA, on October 7-11, 2019. The trade show will be held October 8 and 9. 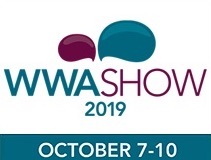 The WWA’s Symposium & Trade Show continues to be the exclusive showcase for the waterpark industry. The world’s largest gathering of waterpark experts! The greatest number of waterpark exhibitors anywhere! The most comprehensive program of waterpark-focused educational courses! Whether you’re a waterpark in the public sector, affiliated with a hotel/resort, part of a corporate chain, privately owned or international, WWA’s educational program covers topics that will interest you.